Waiting was NOT easy for this one. It’s here! Nate couldn’t be more excited for the arrival of An Elephant and Piggie Biggie. 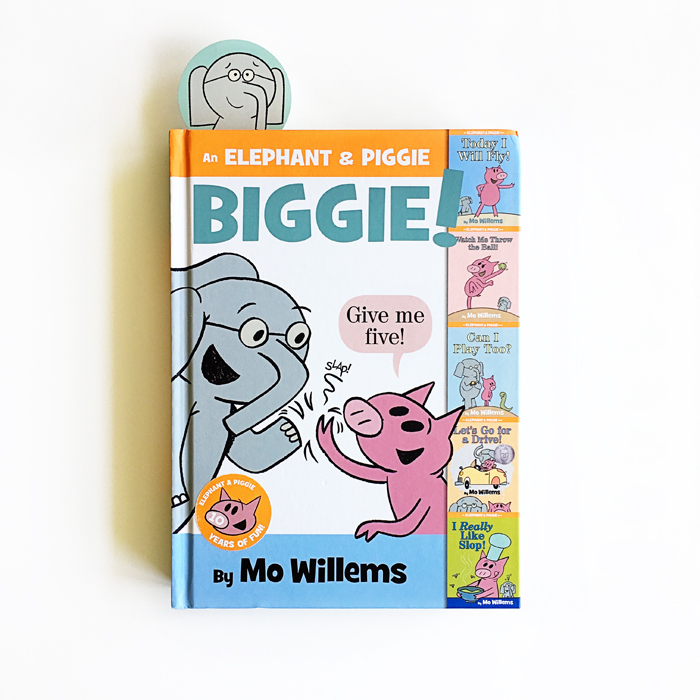 Mo Willems’ celebrated series has played one of the most significant roles in turning Nate into an independent reader this year, and I imagine that it’s done the same for so many others. We love E&P for their friendship, authentic emotions and fun. Long live these two friends! Published by Disney Hyperion Books.